1. Online versus offline: Many AR solutions are online platforms (cloud). In some cases e.g. internal company business uploading of crucial data to the cloud is not allowed and possibility. Questions like “How safe are the files?” and “Who has access? ” have to be answered. So it often can be necessary to use offline standalone solutions and store data on your own infrastructure. edddison fulfills that requirement by plugging into the most important standalone software. 2. Interact with the 3D file: edddison enables to make a “walk through” the building out of your perspective, your point of view. It simulates exactly your view on a specific position in a room or building. It lets you move and walk smoothly through the environment, turn your head and look around. Bounding Boxes are defining allowed navigation areas and it is impossible to walk outside this areas, so you don´t get lost in space. You always know exactly where you are because you see your position on the floorplan. This makes it so satisfying to navigate with edddison. People do not get frustrated because they lose control, but instead they feel to have full control. View the model accurately and check views on relevant positions on the floorplan. AR products on the other hand let you interact with your files without boundaries. 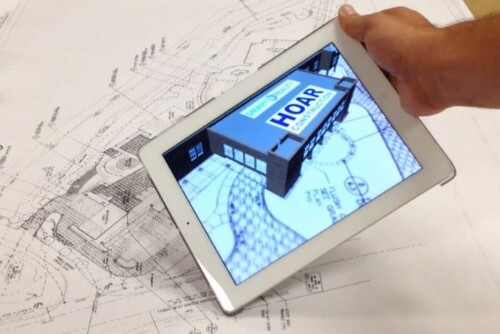 The AR software often only is capable of showing you the bird view of your building (see http://virtualplan3d.com./#!/plans or http://smartreality.co/) You can only turn the model with your hands and body (turning around the device), which quickly leads to physical constraints of the visualization. The great thing on the other hand in AR is that you can overlay your virtual model with the real physical world. For example to see what your new furniture would look like in your livingroom. 3. Import/export troubles: edddison plugs in to your existing 3D software and is not a 3D viewer. In edddison you keep your original 3D file as it is (That goes for Sketchup and Navisworks). No upload/import/export issues will appear, since users stay inside their usual environment and can easily create an interactive application. Unity is an exemption. It is a game engine which means you mostly have to import your files from your working application. Normally importing 3D files into an AR viewer or Unity in that case can be done relatively easy. If you like to have a better render quality, then you will have to do extra work like texturing, setting the lights etc. In this case with both technologies, AR viewer and game engine, you have to import 3D files and have an additional effort. Conclusion: For simple fast presentations it is better to stay in your 3D software like Sketchup or Navisworks and do an interactive presentation with edddison. For high quality presentations import your CAD file to the right tool like an AR viewer or Unity with the edddison plugin. But still with the AR viewer you will have the above mentioned problems of interacting with your model. 4. Hardware: AR is bounded mainly to tablets and phones. The device form factor is often too small to see details of big building projects. Zooming is annoying. edddison is much more open and can be integrated on every hardware, from tablet to huge power walls. 5. Preparation time: edddison lets you prepare an interactive presentation much faster without writing any code. AR solutions are different, every system works different. 6. 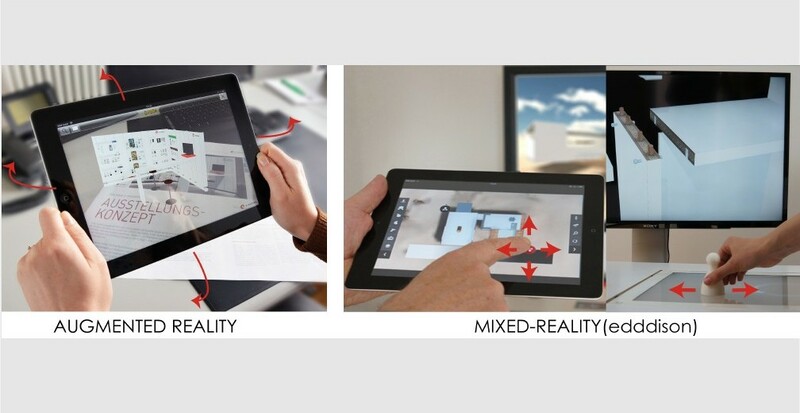 Render quality: In AR software applications the render quality is often low and slow. 7. Tracking and wobbling: edddisons tracking technology is one of the best on the market. Fast, stable and precise. The movements and walkthroughs are beautiful and smooth. Using AR the view is often shaking. It looks ugly and unattractive. 8. Share: AR enables you to share your content via the app or the web, which mostly means using unsecure connections and your sharing partner must have the app installed. Via Web-sharing millions of people can have easy access to your file. Edddison can export projects for sharing purposes, for example with your business partner. It is like with a PDF, you can send and share files but it is not an app or online web service you are sharing with others. Summary: edddisons strength is to make a walk through a virtual building while AR is perfect to view the building from bird view or overlay the virtual object with reality. Be sure to use the right solution for the right purpose.